An update to Google Maps for iOS has brought native support for the iPad, but perhaps the most useful feature of the new Google Maps app is the ability to cache maps for offline use on the iPhone. 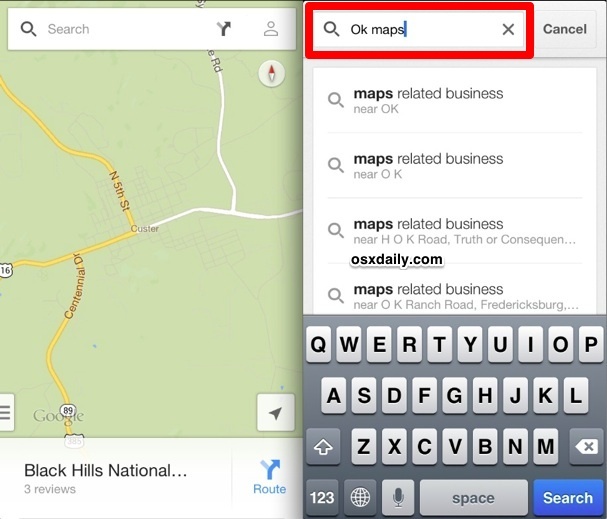 It’s really easy to use, so the next time you’re expecting to venture off into an area with poor reception or no cell signal at all, make a quick visit to Google Maps ahead of time to store the cached maps locally on an iPhone or iPad. Before you’ll be able to use this feature, be sure to update to the latest version of Google Maps app on your iOS device via the App Store. 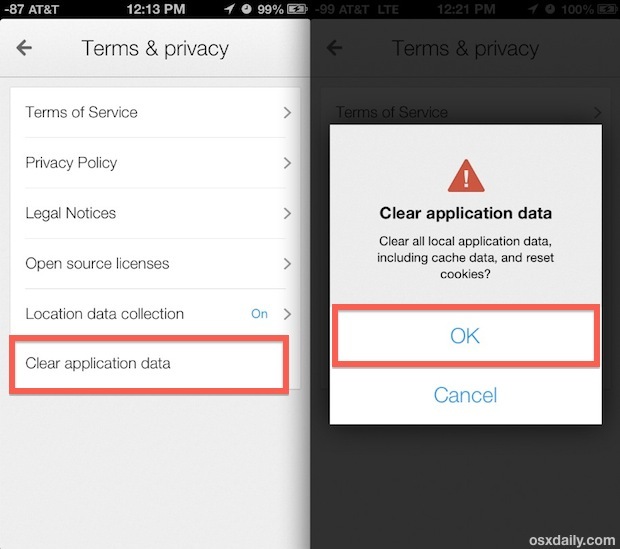 You will need to first use this feature while the iPhone, iPad, or Android still has a cellular signal or internet connection so that it can download the maps cache locally to the device. A brief message will popup on screen as the area is saved/cached locally, and a little message will then appear at the bottom of the screen to confirm the map has been cached for offline use. You can still continue to use Google Maps as usual, but now the saved area will still be accessible even if you don’t have any signal or internet access. To retrieve it just open Google Maps again and search for that area to pull up the cached map, even if you no longer have a data connection on the device itself. This is invaluable for individuals who are planning on visiting areas either with no reception or poor reception, which is a common enough occurrence to warrant the feature being more prominent. In that regard it’s a bit surprising to not be more obvious with something like a “Save Map for Offline” button, and instead relies on a hidden easter egg feature that has long existed on the Android version of the app. Nonetheless, this is very nice ability to have, and something the native Apple Maps app needs as well. You shouldn’t need to do this often, as offline Maps don’t take up much space unless you’ve downloaded the entire continent to your device and suddenly that “Other” space in iTunes has suddenly ballooned to some astronomical level. Nonetheless it’s a useful feature to have native in the app. Something to keep in mind is that you actually need active internet service, either through cell data or wi-fi, to be able to delete the cache. Heads up to iPhoneInCanada for pointing this out.